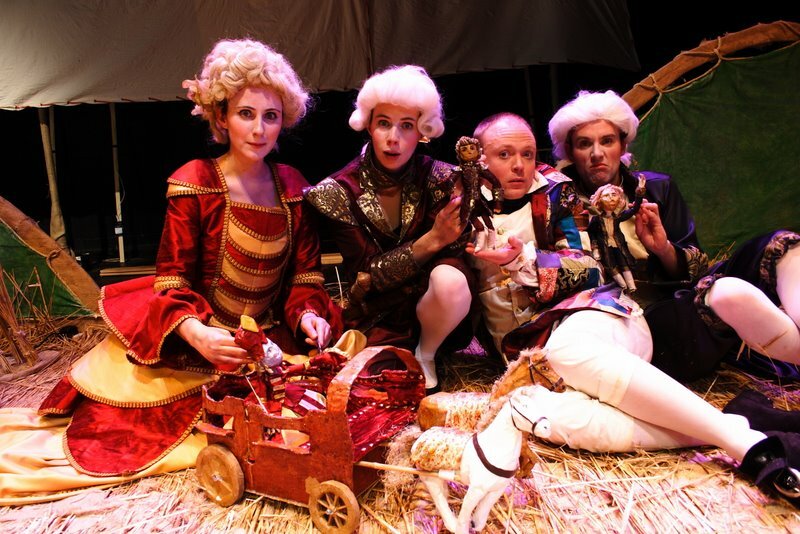 I spotted this on the Smock Alley Facebook Page the other day and it is top of my list of things to do this weekend- The Wonderland production of Jonathan Swift’s Gulliver’s travels at the Smock Alley Theatre. Six actor/musicians undertake the central roles, while puppets are used for the Lilliputians and the audience are asked to use their imagination to conjure up the giants of Brobdingnag. The costumes and set look fantastic (see below for more pictures). The Irish Times review can be found here. I love the idea of going to see a production of Gulliver’s Travels in a theatre which Jonathan Swift would have been familiar with. You can find a short history of the theatre and the restoration here.